Entering age to obtain age-adjusted HCT-CI is optional. The original HCT-CI (without age adjustment) is still considered the standard. Patients with hematologic malignancies for whom allogeneic hematopoietic cell transplantation (allo-HCT) or autologous stem cell transplantation (ASCT) is being considered. The HCT-CI predicts non-relapse mortality (NRM) after HCT, based on pre-HCT comorbidities and organ dysfunction. Originally developed as a prognostic comorbidity model for HCT outcomes. A large, prospective, multi-center study (Sorror et al, BBMT 2015) validated its use in predicting NRM and overall survival in patients undergoing allo-HCT and ASCT for hematologic malignancies. A modified HCT-CI incorporating age as a risk factor (aaHCT-CI) was recently studied and validated retrospectively, though the large prospective validation (Sorror et al, J Clin Oncol 2014) was done using the original HCT-CI Score (not the aaHCT-CI). By itself, the score is not intended to recommend which patients should or should not be treated with allogeneic HCT. Ultimately, this decision comes down to the treating physician and the patient. When patients are assessed with pulmonary function testing, only pre-bronchodilator values of FEV₁ are used for the HCT-CI, and DLco should be corrected for hemoglobin using the Dinakara equation. May help clinicians decide the appropriateness of proceeding with HCT, or to choose the appropriate conditioning regimen intensity for individual patients undergoing HCT. Can also be used in statistical analyses to compare the baseline risk of NRM among different patients and studies. Has become a routinely reported tool in many subsequent studies within the field of HCT, particularly if the study assesses the incidence of NRM. Should be used in shared decision making with the physician and patient regarding treatment options, not to dictate who should and should not undergo HCT. *One or more vessel-coronary artery stenosis requiring medical treatment, stent, or bypass graft. NRM, non-relapse mortality. OS, overall survival. NMA, nonmyeloablative. RIC, reduced-intensity conditioning. MAC, myeloablative conditioning. The HCT-CI was developed by Sorror et al from the Charlson Comorbidity Index. It incorporates several additional comorbidities and several specific measures of organ function, each of which is converted into weighted points, which are summed into a score that is predictive of NRM. The HCT-CI was developed at Fred Hutchinson Cancer Research Center (FHCRC) then initially validated in large cohorts of patients undergoing allogeneic HCT at FHCRC and MD Anderson Cancer Center, and in other single institution patient cohorts in the context of both myeloablative and reduced-intensity conditioned HCT. The HCT-CI is now routinely captured data by all transplant centers and submitted to the Center for International Blood and Marrow Transplantation Research (CIBTMR) to compare outcomes. Since its inception, the score has also been extended in use to patients undergoing high-dose therapy and autologous stem cell transplantation (HDT-ASCT). Of note, however, given that NRM after HDT-ASCT is generally much less common, the HCT-CI is generally not used as often as it is in the allogeneic HCT setting. More recently, Sorror et al added age into the calculation of the score, improving its predictive value and allowing for better incorporation of the prognostic role of age in transplantation decision-making. It is important to note that this was studied only in patients undergoing allo-HCT and included a group of patients undergoing allo-HCT for non-malignant diseases. In both allo-HCT and ASCT, and in all sub-groups even when adjusting for diagnosis, age and conditioning intensity, an HCT-CI ≥3 was associated with higher NRM and lower overall survival. Allo-HCT patients <18 years old or those receiving reduced-intensity condition (RIC) or nonmyeloablative (NMA) regimens with scores 1 and 2 had similar NRM and OS when compared to those with score 0. For ASCT, patients with scores 1 and 2 had similar NRM, but lower OS when compared to patients with score 0, and non-significant higher risk of NRM, but significantly higher risk of overall mortality compared with those with score 0. Patients with scores ≥3 had significantly higher NRM and higher risk of overall mortality. Patients receiving MAC with HCT-CI of 1–2 and ≥3 had higher risk of NRM and OS compared with those with score 0, and had higher probabilities of NRM and lower OS in general. However, patients receiving RIC/NMA with scores 1–2 had similar NRM and OS, but those with score ≥3 had higher NRM and lower OS when compared to those with score 0. Adults with scores 1–2 and ≥3 had higher NRM and lower OS when compared to score 0. For children, scores ≥3 were associated with higher risk of NRM and lower OS when compared to score 0, but not when compared to scores 1–2. For ASCT, patients with scores 1–2 had non-significant higher risk of NRM, but significantly higher risk of overall mortality compared with those with score 0. Patients with scores ≥3 had significantly higher NRM and higher risk of overall mortality. When comparing patients getting ASCT for multiple myeloma vs. lymphoma (the two most significant indications for ASCT), for both groups, patients with scores 1–2 had non-significant higher risk of NRM, but significantly higher risk of overall mortality compared with those with score 0. Patients with scores ≥3 had significantly higher NRM and higher risk of overall mortality. Sorror ML, Maris MB, Storb R, et al. Hematopoietic cell transplantation (HCT)-specific comorbidity index: a new tool for risk assessment before allogeneic HCT. Blood. 2005;106(8):2912-9. Sorror ML, Giralt S, Sandmaier BM, et al. Hematopoietic cell transplantation specific comorbidity index as an outcome predictor for patients with acute myeloid leukemia in first remission: combined FHCRC and MDACC experiences. Blood. 2007;110(13):4606-13. Sorror ML, Logan BR, Zhu X, et al. Prospective Validation of the Predictive Power of the Hematopoietic Cell Transplantation Comorbidity Index: A Center for International Blood and Marrow Transplant Research Study. Biol Blood Marrow Transplant. 2015;21(8):1479-87. Maruyama D, Fukuda T, Kato R, et al. Comparable antileukemia/lymphoma effects in nonremission patients undergoing allogeneic hematopoietic cell transplantation with a conventional cytoreductive or reduced-intensity regimen. Biol Blood Marrow Transplant 2007;13(8):932-941. Lim ZY, Ingram W, Brand R, et al. Impact of pretransplant comorbidities on alemtuzumab-based reduced-intensity conditioning allogeneic hematopoietic SCT for patients with high-risk myelodysplastic syndrome and AML. Bone Marrow Transplant. 2010;45(4):633-9. Sorror ML, Sandmaier BM, Storer BE, et al. Comorbidity and disease status based risk stratification of outcomes among patients with acute myeloid leukemia or myelodysplasia receiving allogeneic hematopoietic cell transplantation. J Clin Oncol. 2007;25(27):4246-54. Sorror ML, Sandmaier BM, Storer BE, et al. Long-term outcomes among older patients following nonmyeloablative conditioning and allogeneic hematopoietic cell transplantation for advanced hematologic malignancies. JAMA. 2011;306(17):1874-83. Saad A, Mahindra A, Zhang MJ, et al. Hematopoietic cell transplant comorbidity index is predictive of survival after autologous hematopoietic cell transplantation in multiple myeloma. Biol Blood Marrow Transplant. 2014;20(3):402-408.e1. Sorror ML. How I assess comorbidities before hematopoietic cell transplantation. Blood. 2013;121(15):2854-63. Dinakara P, Blumenthal WS, Johnston RF, Kauffman LA, Solnick PB. The effect of anemia on pulmonary diffusing capacity with derivation of a correction equation. Am Rev Respir Dis. 1970;102(6):965-9. Sorror ML, Storb RF, Sandmaier BM, et al. Comorbidity-age index: a clinical measure of biologic age before allogeneic hematopoietic cell transplantation. J Clin Oncol. 2014;32(29):3249-56. 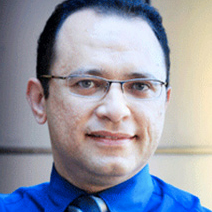 Mohamed Sorror, MD, is an associate professor of medicine at the University of Washington. He is also an associate member of the clinical research division at Fred Hutchinson Cancer Research Center. Dr. Sorror’s research interests are focused on hematological malignancies.